If there’s one thing Prime Minister Shinzo Abe and U.S. President Donald Trump have in common, it’s their affinity for golf. During talks starting in Washington on Friday, Abe is set to use a round of golf with Trump to cement economic ties and allay the president’s criticism of Japan’s trade policies. That’s where they’ll hit the links to wrap up their first round of diplomacy. “That’s the one thing about golf — you get to know somebody better on a golf course than you will over lunch,” Trump told a radio interviewer last weekend. While a combative telephone call with Australian Prime Minister Malcolm Turnbull stunned U.S. allies, Trump appears to be taking a softer line with Abe, who will be the second world leader to meet with the president since his Jan. 20 swearing-in. “This is a testament to the importance the United States places on the bilateral relationship and the strength of our alliance and the deep economic ties between the United States and Japan,” White House press secretary Sean Spicer said at a briefing on Tuesday. Japanese officials agree that golf is a great way for two leaders to forge a personal relationship. But behind the softer approach are a number of issues waiting to be dealt with, including trade, currency matters and security. Trump has been especially critical of Japan’s extremely low level of U.S. automobile imports and accused Tokyo of currency manipulation. Not directly addressing Trump’s comments and tweets, Abe earlier this month said he would like to discuss how Japan can contribute to creating jobs in the U.S. He also said he wants to create a “win-win” situation for both countries. To this end, Abe is reportedly offering to invest $450 billion in America to create U.S. jobs in areas like high-speed rail, energy and artificial intelligence. Japanese companies have been making U.S. investment announcements as well. The two countries are also planning to form a new bilateral framework headed by Deputy Prime Minister Taro Aso and Vice President Mike Pence that would facilitate discussions on trade and infrastructure projects in an apparent move to appease a cantankerous Trump. 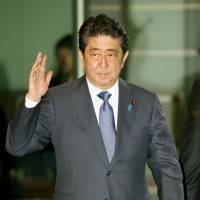 Abe also appears ready to make concessions on the Trans-Pacific Partnership agreement, which Trump has already axed. 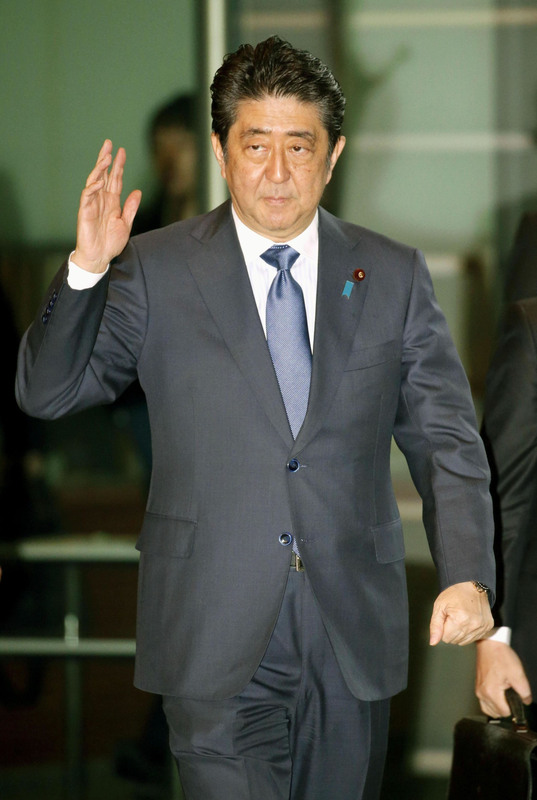 Although Abe has pledged to stick with the 12-nation trade pact, he has implied that Tokyo might be open to a bilateral trade deal with the U.S. instead. Japanese officials say they also intend to use the talks to “correct” Trump’s misunderstandings on trade, implying that the president appears to be haunted by memories of bilateral trade friction in the 1980s. The most common way to devalue the yen is through foreign-exchange intervention, but Abe says the government has not done this since the start of his administration. 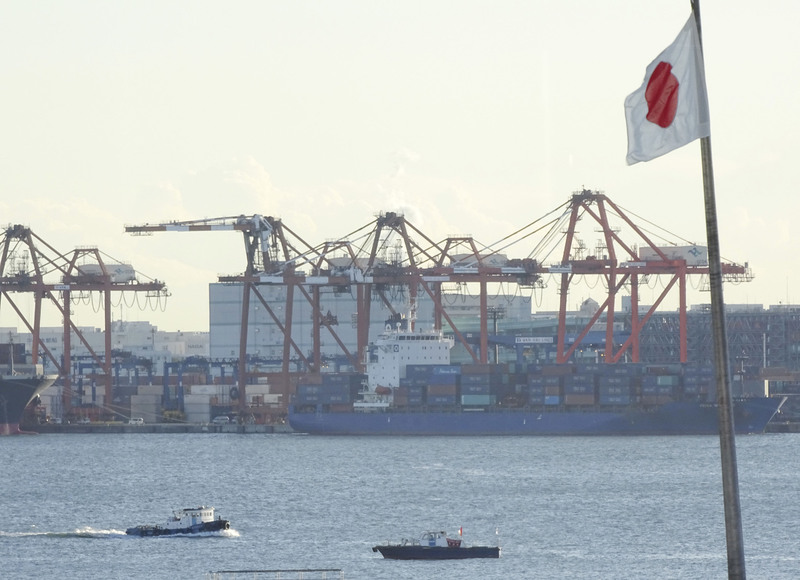 But a recent report on the U.S. trade deficit in goods with Japan could deal a blow to that claim. According to U.S. government data, the deficit ballooned to its second-largest in 2016, totaling $68.94 billion, overtaking Germany. 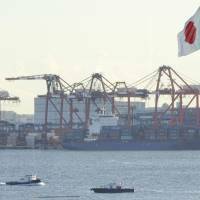 Chief Cabinet Secretary Yoshihide Suga has emphasized that Japan accounted for 9 percent of the overall U.S. trade deficit in 2016, down from 37 percent in 1997. He also underscored that Japanese companies have been making large investments in the U.S., pointing to $411 billion in direct investments that have created 840,000 jobs, based on U.S. data. “The economic relationship between Japan and the U.S. has matured. We will try to gain more understanding of the Trump administration to deepen our relations,” Suga said at a daily news conference Wednesday.Meanwhile, Tokyo appears to have gained a measure of assurance on security issues after months of uncertainty during the U.S. election campaign. During a visit to Tokyo last week, U.S. Secretary of Defense James Mattis said that the U.S. is committed to defending the Senkaku Islands under Article 5 of the Japan-U.S. security treaty. Secretary of State Rex Tillerson on Tuesday echoed this position during a call with Foreign Minister Fumio Kishida, who will accompany Abe on the summit and hold talks with Tillerson. The small, uninhabited islands have long been administered by Japan but are also claimed by China and Taiwan, who call them Diaoyu and Tiaoyutai, respectively. Mattis also lauded Japan’s host nation support as an example for other nations, in contrast with Trump’s campaign comments that said Japan should pay more for the deterrence and nuclear umbrella provided by U.S. forces stationed in Japan. However, a Defense Ministry official said Trump could still demand an increase in Japan’s overall defense budget, if not host nation support itself. A Defense Ministry official said the comments could be interpreted as a demand to increase the defense budget.